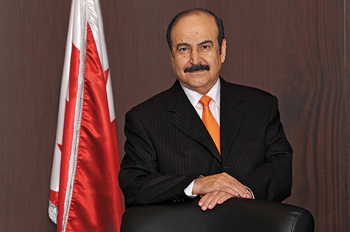 FALLING oil prices will not affect the development of oil and gas infrastructure in Bahrain, including an import terminal for natural gas, the construction of the A-B pipeline between Bahrain and Saudi Arabia and the multi-billion-dollar expansion of the Bapco refinery, the kingdom’s energy minister Dr Abdul Hussain bin Ali Mirza says. Although Fitch Ratings has downgraded Bahrain’s credit outlook to negative, saying the fall in oil exacerbated an already challenging fiscal situation, Dr Mirza says the implementation of projects won’t suffer. Among the projects is a floating platform to import liquefied natural gas (LNG), which will give the kingdom gas to fuel its industrial expansion. “It will be the second half of 2017,” Dr Mirza says. He confirms talks were held with a Russian delegation about possibly importing LNG from the European nation. Russia was among a number of nations to have expressed interest in supplying Bahrain, but any agreements would depend on price and the level of gas needed by the kingdom, which would vary over time, Dr Mirza says. A number of bidders recently submitted proposals to build the terminal, he says, declining to be drawn on their identities or when a decision on the winner would be made. Among the expected bidders for the $500-million scheme are consortia including Petrofac, Marubeni, Daewoo and Samsung C&T Corporation, according to Project Finance International, a Thomson Reuters unit. Other projects planned by Bahrain include the $5-billion Bapco refinery upgrade and expansion, for which a basic engineering study could be expected by the end of next year, Dr Mirza says. A new crude pipeline between Bahrain and Saudi Arabia could see work start in the second half of 2015, he adds. The minister says that the new pipeline would have a capacity of around 350,000 barrels of oil per day (bpd), compared with 220,000 bpd through the current pipeline. The first construction contracts for the $350-million pipeline are expected to be awarded by the second quarter of this year. The first 115 km of the pipeline will be constructed onshore, while the remaining 42 km will be built under the sea. The pipeline will also cater to future increase in crude oil demand post implementation of the Bapco modernisation programme. Welcoming foreign investment in the kingdom, Dr Mirza says it plays a significant role in attracting investments in the energy sector support services to Bahrain, and are keen to help tide over snags so as to make the country a fertile environment for the growth of business and investment. Towards this, the Energy Minister opened the Middle East regional head office of Katch Kan, a Canadian oil services company in Bahrain. The company is looking to capitalise on opportunities across the region’s upstream oil and gas industry. On the power front, new electricity projects costing up to $4 billion will be carried out across Bahrain in the next five years, as the government develops its water and electricity networks. Dr Mirza says the new schemes were part of a national strategy that takes into account urban development resulting from increasing population growth and economic progress. “We are planning to upgrade the main backbone transmission network to 400 kv and the envisaged network shall include the construction of three main transmission substations at the voltage of 400 kv in Hidd, Umm Al Hassam and Riffa,” he says. “These substations will be connected in a mesh network and into the existing 220 kv transmission network in order to provide a better interface with GCC interconnection grid. He says the total cost of this project was estimated at nearly $740 million, and work will continue until 2017. “This will be the first project to be financed by the $10-billion GCC Development Support Programme, and financed by Kuwait, and the tender documents of the project have already been obtained and are being evaluated,” adds Dr Mirza. He says the Electricity and Water Authority (EWA) was also upgrading its main distribution networks in Bahrain’s four governorates to further reduce power cuts. “The estimated cost of these projects is $265 million. The project is under construction until the end of 2016,” he says. A number of schemes to develop the country’s water networks was also being implemented at an estimated cost of $182 million. “The main water pumping station in Hidd will see the construction of additional ground storage tanks and improvement of the pumps to 50 million gallons,” explains Dr Mirza. “Water pipelines that are 17 km ductile iron will also be constructed in Hidd, while 22 km ductile iron water pipelines will also be constructed in the Southern Governorate,” he adds. Dr Mirza urges the public to change their consumption habits as new energy-saving equipment will soon be introduced nationwide. “We will start with ministries and government bodies and then households in obliging the installation of different lights and bulbs, cheap air-conditioners and enforcing thermal installations, which will later be introduced in homes,” he says. He adds that work on the projects would continue until 2019. Dr Mirza says global energy demand is expected to increase by 60 per cent till 2040, with fossil fuels remaining the main source. Quoting the Opec 2014 report, Dr Mirza says oil-related investment requirements would reach $10 trillion between 2014 and 2040, and the extra capacity is estimated at $7.3 trillion during the same period. “Opec countries need, on average, to invest nearly $40 billion annually over the remainder of this decade and $60 billion annually in the long term,” the minister says. Noting that the industry oil and gas was constantly evolving, Dr Mirza says it was encouraging to see operational efficiency further strengthening procedures. Organisations that understand their risk profile and take concrete action to mitigate risks will be better positioned to succeed in the marketplace, he adds. The minister says maintenance has played an important role in the past few years, which was most pronounced in plant operation and averting total collapse through preventive, predictive and proactive maintenance, which is designed to extend the useful age of equipment. The Energy Minister has called on companies across the country to view employees and the community as essential ingredients to achieve sustainability in the business world. Dr Mirza spoke about the capabilities and capacities of those attending and said the time had now come for them to realise that profits are no longer the only goal and that community work and social responsibility is of equal or more importance. The minister, quoting opinion polls on sustainability, says eight out of 10 companies believed that those trying to achieve their business objectives were doing so in conjunction with the quest for development of society and the environment. At least 42 per cent said customers would even go to the extent of rejecting their products if social practices were not followed while 65 per cent said customers would go to another company, which followed such practices. He says this affirmed that the theme of the conference was of utmost importance, since it went beyond manufacturing and concentrated on sustainable livelihoods and business practices, responsibility and well-being of staff as well as guaranteeing a strong consumer base for their products and services. At the same time there is a growing need for energy conservation in the refining sector due to falling oil prices, Dr Mirza says. He adds energy conservation was a necessity for the refining industry, which uses about half of all the energy consumed by the oil and gas industry. The minister says though energy efficiency and conservation were distinctly different, both played important roles in reducing energy use, lowering investment and operating costs. The World Energy Investment Outlook 2014 published by the International Energy Agency (IEA) revealed more than $1.6 trillion investment in 2013 to provide energy to the world, with a rising investment share in end use energy efficiency projects, he says. It said the share was expected to be $8 trillion by the end of 2035, the lion’s share going to secure efficiency in transportation and building, and 10 per cent to be invested in finetuning oil refining. Dr Mirza says there was a need to increase this investment percentage, in spite of the challenges in implementing energy efficiency programmes, especially in old refineries. There are growing global concerns about the massive quantities of energy consumed in fuel production. He says energy intensity in production had increased with the advent of more non-conventional methods, and advanced high energy intense refining processes. 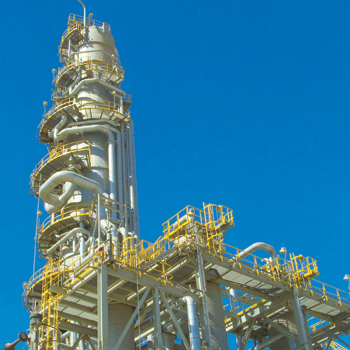 He adds it was encouraging to see refineries now proactively reducing energy intensity by switching to more efficient technologies, equipment or processes, which would not only improve productivity and lower operating costs, but would also reduce environmental impacts. Some experts claim oil and gas industry activities in extracting, processing and marketing fuels account for more than a quarter of the world’s total primary energy use, he says, pointing out that some upward pressure on the overall energy intensity in the refining industry could be due to the stringent standards and demand for lighter products. “Production processes in challenging offshore and heavy crude oilfields used additional energy to harvest same volumes, whereas energy intensive secondary and enhanced recovery techniques also consumed more energy,” he adds. Dr Mirza says oil and gas companies had to do more than invest heavily in more efficient technologies all along the supply chain. They had to reduce flaring or venting of the associated natural gas and strengthen the distribution infrastructure. He points out that Bahrain was on the right path in designing environment compliant projects, such as the newly commissioned gas compression station at Banagas, which ensured a clean harvest from the Bahrain Refinery operations. The minister praised organisations world over that have started energy management programmes to ensure effective energy usage in their current and future projects. He points out that successful energy management strategies improved energy use.